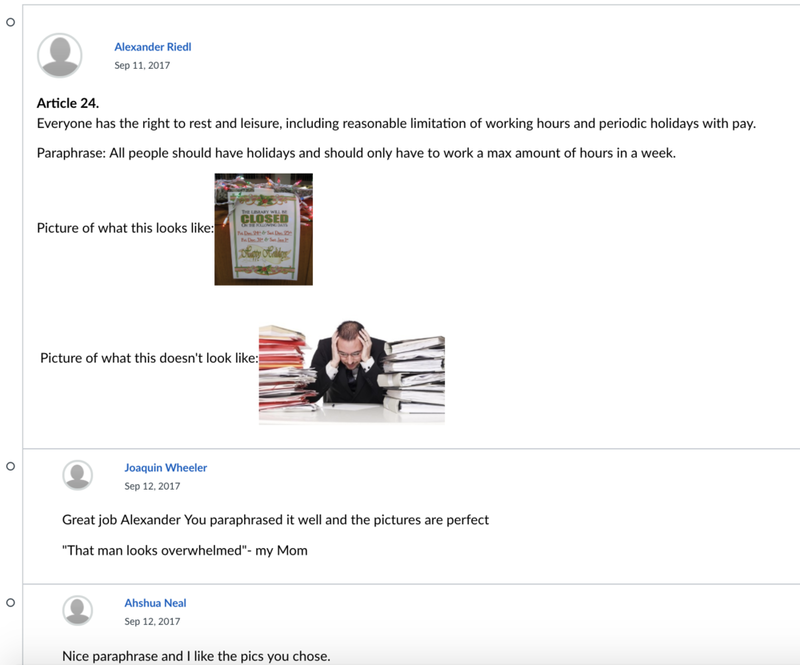 Discussion boards give students the opportunity to communicate using rich media on their own time, such as in this English 5 assignment about paraphrasing articles from the Universal Declaration of Human Rights. 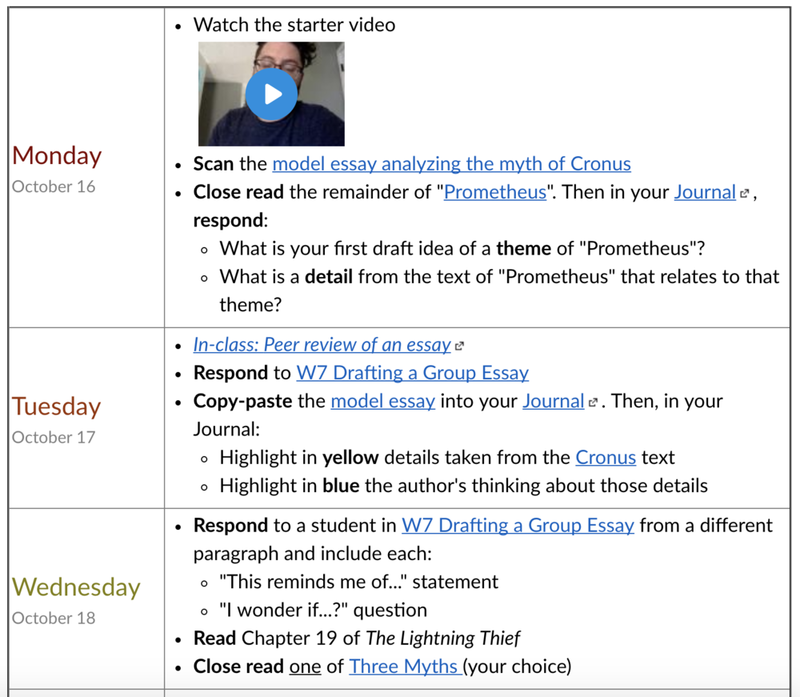 This excerpt from the English 6 starter page shows students analyzing texts for theme and evidence as they prepare to write an analytical mini-essay about Greek mythology. Visit the gallery below to view snapshots of content and student work from the 2017-2018 school year.